I would have asked every one of my professional HR people to read the text if it had been available to them. The HR profession has been longing for a solid foundation from which to operate and this text provides it. It′s very simple. Baron and Kreps have produced a path breaking HRM text by mixing rigorous analysis and up–to–date research findings with engaging case material. They convey what all current and future managers, regardless of their functional specialty or interests, need to know to manage effectively the workforce and organizations of the future. HRM teaching will never be the same, and we will all be better off for it. 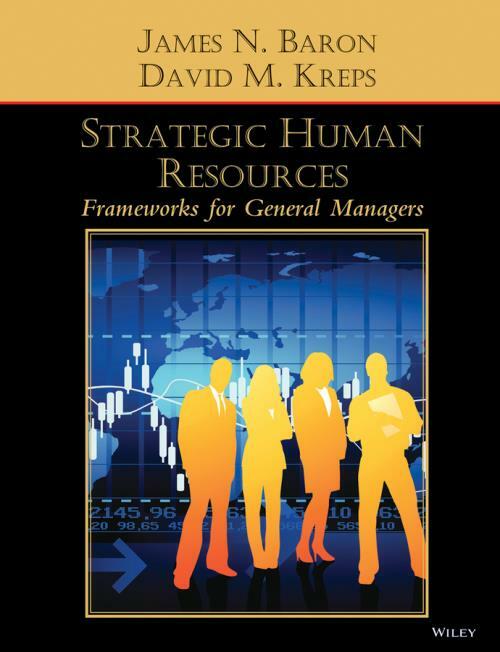 This book provides general managers with a valuable framework, empirical evidence, and some thoughts to consider on how to align human resource strategy with business vision. Baron and Kreps have written an extraordinary text on human resource management that combines as perhaps no others have the cutting edge in social science theory on the employment relation with the best in real business practice. This book demonstrates the benefits of interdisciplinary collaboration. Baron and Kreps have developed a practical, comprehensive framework for the design and analysis of HR strategies. Management is about (1) deciding what to do and (2) making it happen. In today′s world, making it happen is all about people: having the right ones (and avoiding the wrong ones) and integrating those people into an effective work system. This text is all about making the people equation happen. Certainly, if I were to teach a class on HR management as experienced by a practitioner, I would find this text a perfect vehicle to frame the course and develop its content. —John S. Reed, Chairman and Co–Chief Executive Officer, Citigroup Inc.